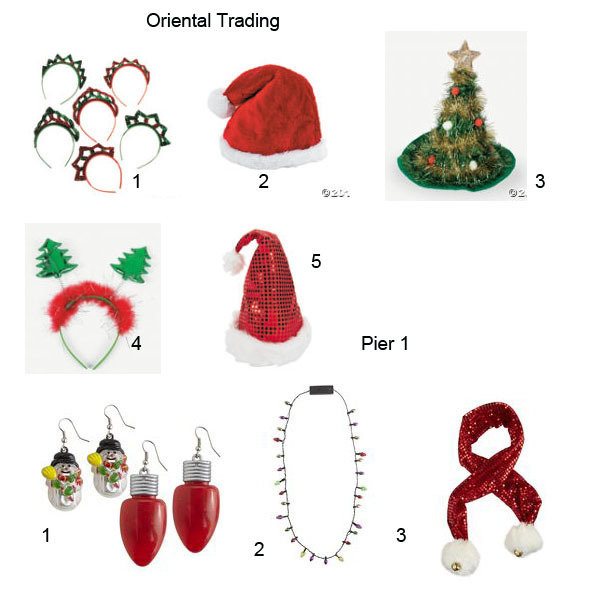 Do you like to get into holiday spirit by wearing festive clothing? If so, this post is for you. If not, check it out you might find a piece that will change your opinion on festive accessories. I’m going to start with the men. If you have a dressy occasion or events why not add a holiday tie. 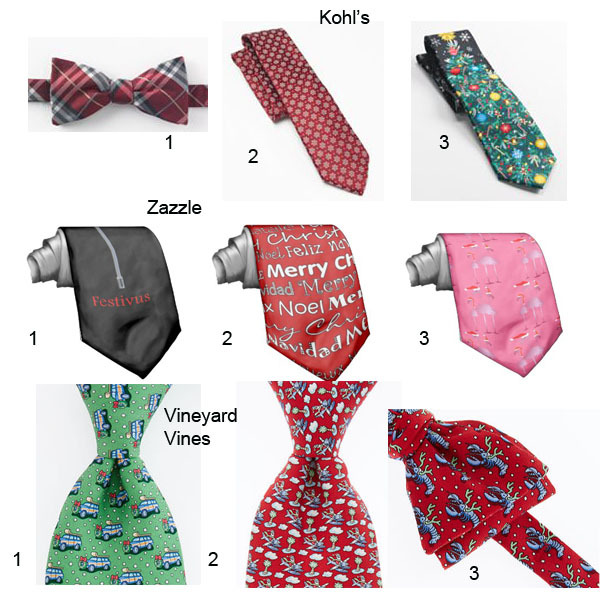 Holiday ties are similar to the holiday sweater (check out my post) and there is a range from classic to tacky. I have no problem with someone wearing a tacky tie or sweater if the event calls for that type of clothing. 1-Croft & Barrow® Allen Plaid Pre-Tied Boxed Bow Tie Sale $14.99 I love this bow tie, so cute and not too tacky. 2-Noel Lurex Snowflake Tie – Men Sale $16.00 This snowflake tie also has a subtle holiday pattern. You ladies can also check out my holiday sweater post but there are some holiday accessories you might want to add to your outfit for an event or holiday party. Some of these hats work for men or women.